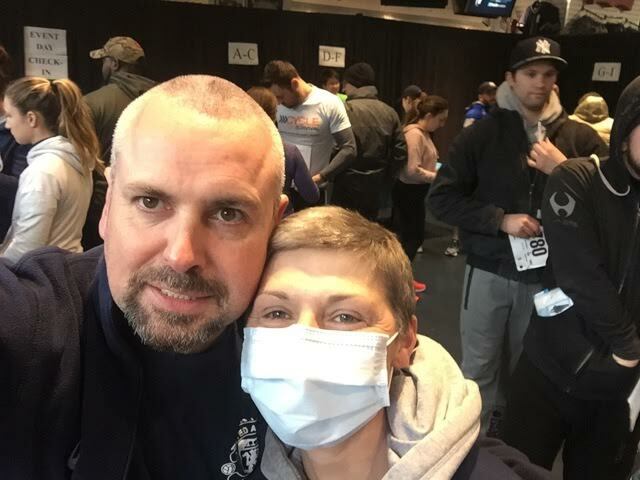 Steve Stears of Nanuet, NY lost his mother to breast cancer in 2011, on the same month his wife, Nikkii, participated in her first Damon Runyon 5K run/walk at Yankee Stadium with friends. Two years later, Steve lost his father to lung cancer. In 2016, his wife was diagnosed with leukemia. Still, Nikkii was able to walk at last year’s Yankee Stadium event. This year, eight months after her bone marrow transplant, they ran together. Steve and Nikkii were again joined at Yankee Stadium by a handful of Pfizer colleagues as part of the United Against Cancer team. Other Pfizer colleagues helped Steve’s fundraising efforts with a bake sale at the Pearl River site. They were also joined by neighbors and friends at a fundraiser at BJ’s Restaurant & Brewhouse in Nanuet that helped Steve’s walk/run team once more be among the leaders in raising money for the cancer research foundation. 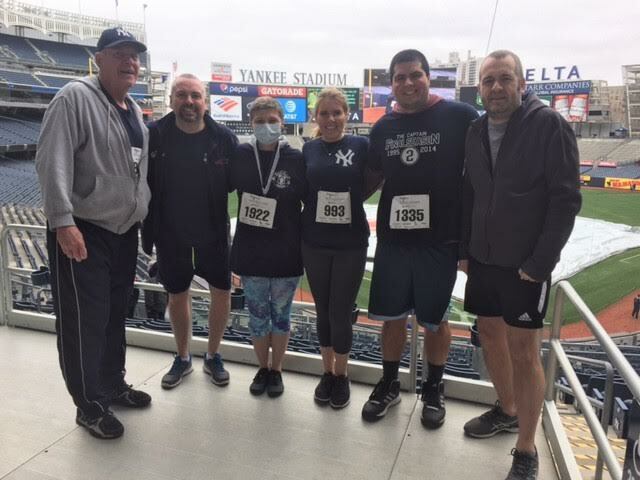 “The run or walk is pretty cool as we navigate the steps and ramps of Yankee stadium with a couple of laps around the field,” Steve explained. “It’s a fun way to engage in the battle against cancer with some exercise and fundraising where everyone can be involved. I sometimes think that cancer has personally targeted my family over the years and so I need to fight. The truth is that this is the case for all families in one way or another. “The Damon Runyon Cancer Research Foundation is an extraordinary organization funding scientists who are the best and brightest in their fields. All donations go towards their research to find the cure!” Steve said.